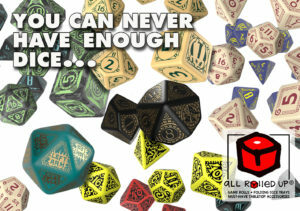 Earlier this month, Steamforged Games announced a licensing partnership with All Rolled Up to bring gaming accessories to the tabletop with art from the well-known Manchester-based game designer’s many games, kicking off with Guild Ball. Well, release time is here and, as teased, we have the brand new square folding dice trays for the Ratcatcher’s Guild, a lesser guild within the game setting associated with the Morticians. 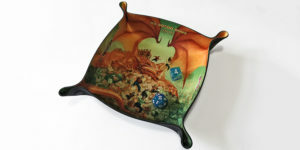 The two designs feature five members of the team and the Ratcatcher’s mascot Squeak, split across two dice trays. Over the coming months, we will expand the range to include more of the guilds, major and minor – so, keep your eyes peeled for new releases. You can find the new product by going to the Square Folding Dice Trays section of the All Rolled Up web store. This is an early warning for all subscribers to the newsletter; we’ll post about the update to everyone else across social media later.